Raising children is a challenge. There is just so much to do. The mother is a cook, housecleaner, chauffer, educator, fashion advisor, washerwoman, doctor and more. Getting all of those things done and still finding time to have a life and go shopping can be a chore. Luckily technology has combined with industry to come to her rescue. 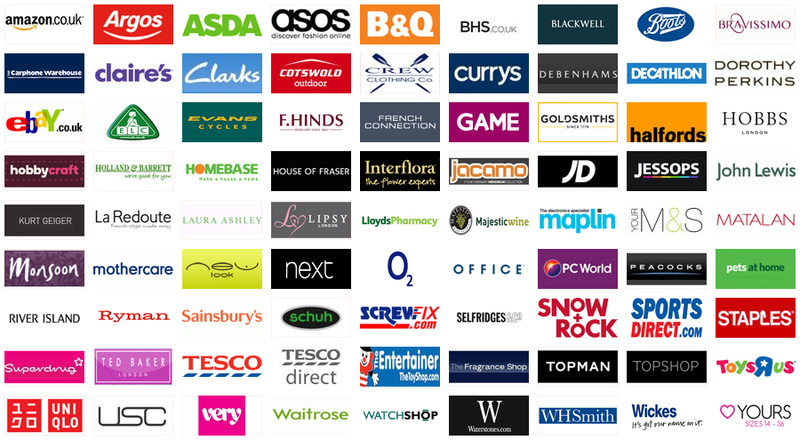 That is made manifest in the Mothercare.com shopping concept called click and collect. To use this new concept only requires three things- a computer, a desire to shop online and the ability to get to a local retail store to collect your purchases. From the comfort of one’s own home one can find the item one wants in the appropriate size and colour, pay for it and go to the store and pick it up. With all the hats mothers have to wear eliminating things that waste time can be of real value. Finding deals in a crowded shop can be a problem. One must often fish among strewn clothing and homewares to find the appropriate item. When one has the option to save the leg work and successfully identify what one needs and have it waiting at the shop makes click and collect a truly valuable option. What items can I collect? To confirm if a particular item can be collected find the “available for instore collection” on the product pages. The service is free for all online orders over £30.00, for purchases under £30.00 the fee is £1.95. How quickly can I pickup? When you order at Mothercare.com you can choose your collection day. If you order before 10 pm you can usually collect from your local store 3 working days later. You will receive an email & txt message confirming when your purchase is ready to be picked up. You need to bring your reference number, so please either print out or write down your order summary / email / txt confirming ready. Click and collect is a concept people have desired for a long time. With the busy life many people lead today few if any has time to dawdle around in stores gawking at merchandise, wrestling with crowds and fending off aggressive salespersons and product sample pushers. It’s a manifestation of the rat race few still have the stomach for and fewer still enjoy. The click and collect concept removes the need to visit the store and mine for goods and clothing you need. Using the internet you can peruse the store’s stock and find exactly what you are looking for without setting foot in the store. Many people disdain technology. They see it as an unnecessary intrusion into one’s life. Some still long for the days when shopping meant having your needs met by a willing sales assistant familiar with the shop’s products and willing to show off that knowledge to make the customer happy. But self-service has come to dominate retail shopping. Most people must now spend hours familiarising themselves with the products that are available. For the retailer this is great. They save on the salaries of sales personnel and hope additional products will catch the consumer’s eye and encourage them to spend more than they had planned. From a consumer’s perspective click and collect may be much better. Click and collect allows the customer to take their time while shopping. They can compare the cost, cut and colour of different items. They can match the items to things they already own while still handling their homemaker duties. The convenience click and collect provides is hard to match. What other type of shopping allows one to feed the children and shop simultaneously? Click and collect even allows one’s spouse to give some input into what housewares or clothing for the children should be bought. Just the ability to get the whole family involved in the purchasing decisions adds value to the click and collect concept. Motherhood is not only a very exciting but it can also be a very stressful time for a mother to be. While there are so many options and brands to choose from the one that is probably the most well known and trusted is Mother Care. Mothercare is a brand that is not only well known in the UK where it began but all over the world. Though the company began by restricting its products to pushchairs, maternity clothing and furniture for nurseries it soon expanded to include clothing, furniture, bedding, bathing and every other baby care or any need a mother to be has. It became a public company in 1972. Mother Care has stores not only in the UK but Europe and many other parts of the world. Mothercare.com is a one stop shop for anything a mother or baby could need. Mother care has been a trusted not only for the designs but mostly for the quality that it assures as well as the safety and functionality of each and every one of its products. These products are designed not only for babies but right from pregnancy to 8 years of age. Every product is not only well designed but also has to pass several tests to be able to be kept on their shelves. Their main lines are clothing, home and toys for babies as well as children. The company is also known for its social responsibility where it not only looks into its carbon emissions that arise from their transport but their labour standards are also know to be the best among the top UK companies. No time to shop? Try Mothercare click and collect!